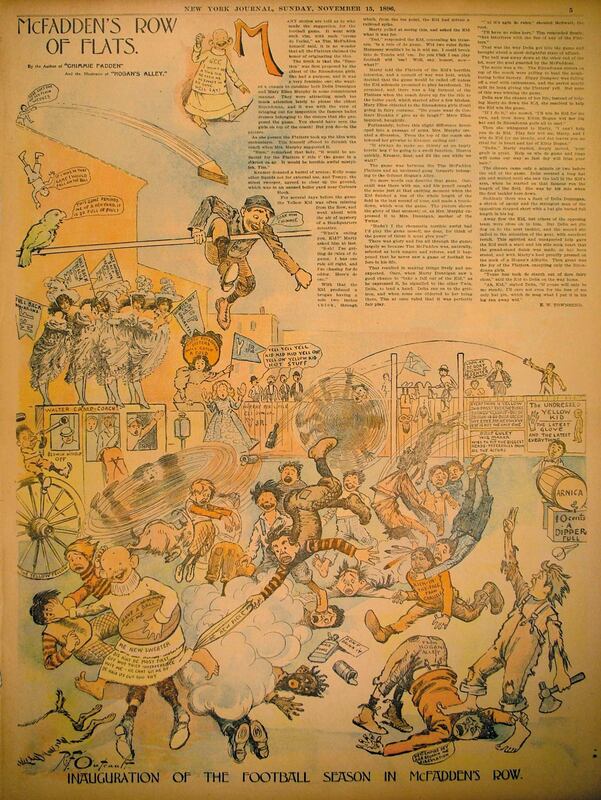 On this page we’re looking at cartoons, primarily American, prior to 1960. We’re not looking at all cartoons, just those that interest us for some reason. Before we start we’ll do a potpourri of very early cartoons, starting in the nineteenth century. Most of that vintage are inherently interesting because of the illumination they provide on popular social events of that time: a history lesson in pictures. First we’re looking at the Yellow Kid. Click above to learn about the origins, or here for some more origin stuff, or here. Learn something about his (and others') relationship to popular culture. 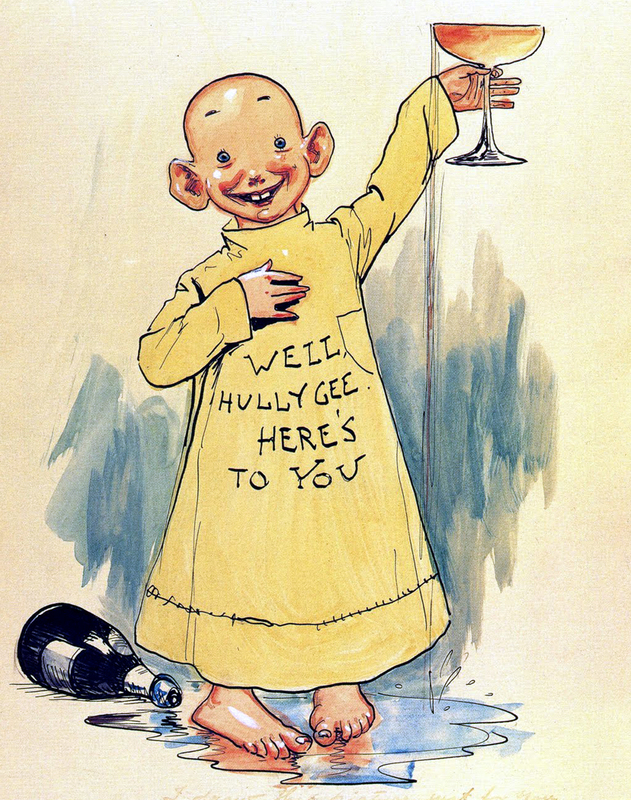 Hogan's Alley is where the Yellow Kid hung out. Naturally there's a society and web site. The artist, Outcault, was versatile, moving on from the Yellow Kid. There is almost a cult fascination these days. More ink has been spilled discussing the Yellow Kid than used in drawing him (Well, that's an estimation, at best). Second, we’re looking at Krazy Kat. Here’s some background by Elisabeth Crocker. Here’s a student project at San Jose State University. 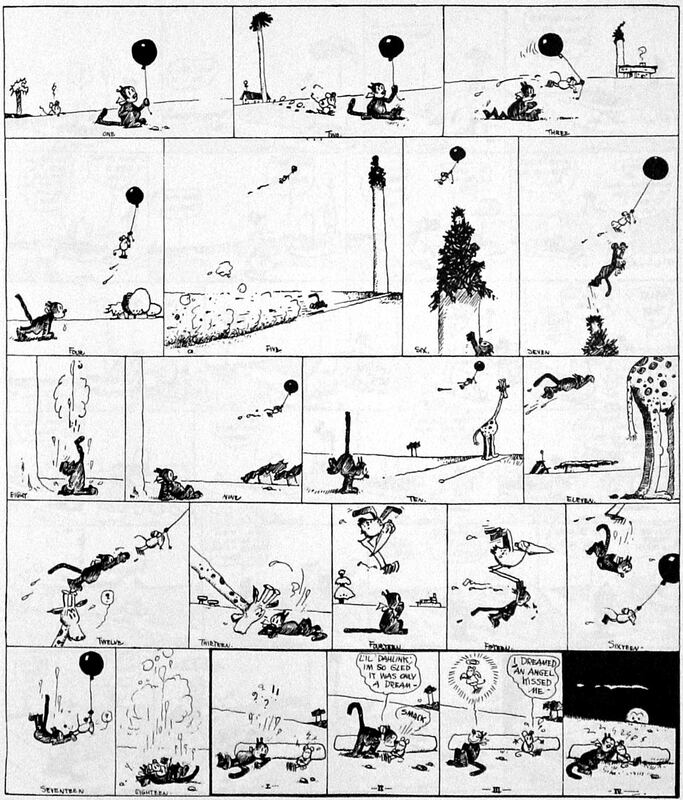 You might like to see a collection of Krazy Kat strips. Here is a slightly different collection. You might want to purchase some Krazy Kat. There are several sources. He's popular among bloggers. If you think philosophy might be involved, here is a Google book by Paul Buhle to confirm your suspicions. If it doesn't open to the "Franklin Rosemont" chapter, just click "contents" and go to page 119. 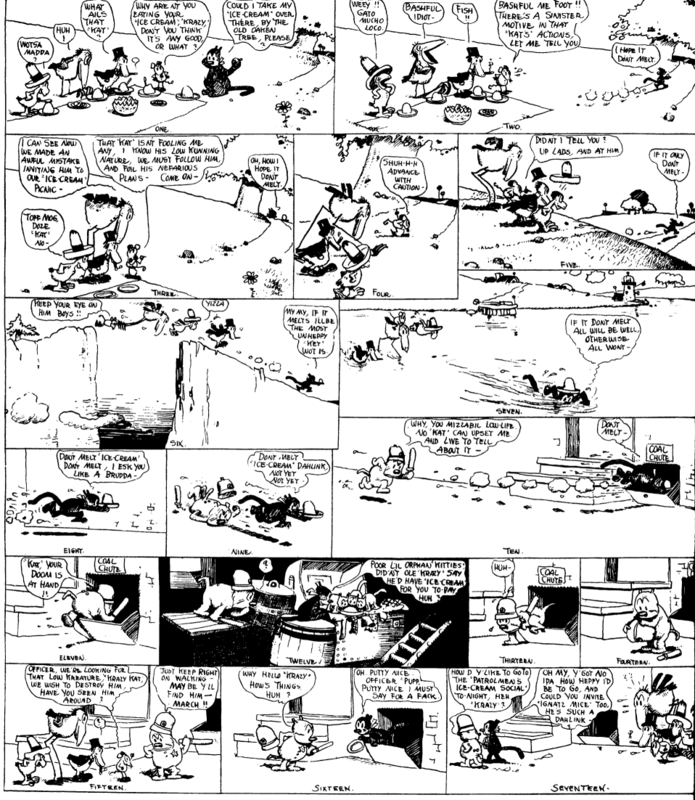 And now, a few more things to clear up about Krazy Kat.